With sea level rise and increases in the severity of extreme natural events, there has been a renewed push to further our understanding of the coastal zone. Fundamental to understanding risk in areas of high vulnerability is capturing the near-shore land and sea surface. Bathymetric Lidar is the most effective and cost-efficient technology to capture both the land and seafloor simultaneously to provide a continuous, detailed 3D elevation model along the coastline. Its ability to successfully capture elevation on both sides of the coastline, over areas stretching more than 100km along the coast, has made bathymetric Lidar the ‘gold standard’ for coastal vulnerability and near-shore benthic habitat modelling. the sensor which reads the returning signal. Knowing the position and orientation of all these components enables accurate measurements to be recorded by the Lidar system. Some of these sensors can now measure more than 100,000 points per second, resulting in surveys with over 10 points per m2 in shallow water. In a recent survey delivered for Samoa, over 1.8 billion points were captured in an area of just over 1,100km2. The deepest of these measurements achieved a depth of just over 75m. The addition of the water column in bathymetric Lidar surveys makes them more vulnerable than their topographic counterparts to the adverse impacts of environmental effects. These impacts can lead to data gaps, reduced data coverage and measurement quality. To minimise these impacts and achieve a successful bathymetric Lidar survey numerous factors need to be considered, such as weather for flying, air traffic controls, turbidity, tides, sea state, vegetation condition and ground control accessibility. Water clarity, or lack thereof, is a major hindrance for shallow-water penetration from bathymetric Lidar sensors. High turbidity, sea grasses and low-reflectance seafloors pose risks to the success of a survey. Understanding and managing these conditions can mean the difference between success and failure. Bathymetric Lidar sensors arguably tend to have more individual characteristics and differences than topographic Lidar sensors. Importantly, all modern bathymetric Lidar sensors can measure topography in addition to bathymetry. The most obvious split is between the shallow-water (<10m) and deep-water systems (>10m). The shallow-water systems tend to have less laser power per pulse, a higher measurement frequency (high resolution), smaller laser footprint diameter and a smaller receiver field of view, and can generally only measure water depths within the visible water column. The deep-water bathymetric Lidar systems use more laser power per pulse, a lower measurement frequency (low resolution), a larger laser footprint and receiver field-of-view. These deep-water bathymetric Lidar systems vary in depth penetration capability from between 2.0 to 3.0 times the Secchi depth measurement. To maximise detail and coverage, bathymetry survey operators are nowadays utilising both shallow-water and deep-water sensors simultaneously in twin optical port survey aircraft. The scan patterns for sensors are composed of the shape, tilt and method. The scan shapes vary between rectilinear, elliptical arc, circular arc, elliptical and circular (see Figure). The circular and elliptical scanners are able to look forwards and backwards, increasing the number of times an area is sampled, although this can result in oversampling along the edges of the scan. The remaining shapes are usually tilted forward or backwards with respect to the aircraft. The scan methods vary between oscillating mirrors, rotating prisms, palmer scanners, rotating multi-facet mirrors and oscillating raster scanners. All of these methods result in subtle differences in the scan pattern and can be seen in the subsequent point cloud. A major consideration when employing bathymetric Lidar systems is laser energy per pulse. Although factors such as the receiver telescope area and field of view influence depth penetration, the laser power combined with the pulse duration is the strongest influence on depth penetration. High laser power and pulse duration tend to result in deeper water column penetration. The downside of higher laser energy per pulse is that the measurement frequency is lower, resulting in a lower point density. However, full insonification of the seabed is still possible. Recent advances in bathymetric Lidar sensors have been heading in a number of different directions. Some of these advances include multiple sensors in the aircraft, more integrated systems with additional sensors, faster throughput to data products, reflectance calibration between flight lines, greater point density, enhancements for fresh water capture, and enhanced classification of point clouds. Additionally, it is still early days for the use of bathymetric Lidar sensors in small unmanned aerial vehicles (UAVs), although this is likely to change in the next ten years. Advances in cloud computing and big data processing also hold a huge amount of promise for point cloud processing, and it will be fascinating to see how the industry utilises these advances to provide further value to the end users. 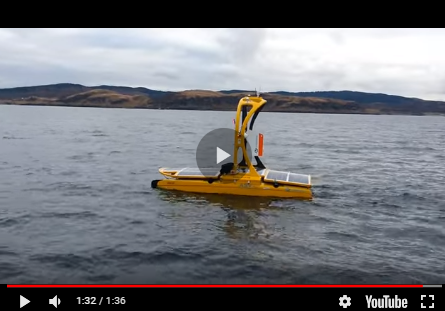 When selecting and employing a bathymetric Lidar sensor it is important to consider the environmental factors as well as the individual characteristics of the system. Even then, the success of a survey is often determined by the knowledge and experience of the operator. That aside, the decision about the best system for a survey will depend on the survey area, environment, project requirements and sensor availability. The aspects which commonly determine the choice of sensor relate to the maximum depth, point density, coverage, final product requirements and, not unimportantly, the intended purpose for the data. This article originally was published in the October 2016 issue of GIM International.